On this project, the purpose of the course management system is to develop with ease and smoothen the course management allocation process in schools. Moreover, a lot of issues have popped up regarding the manually allocation method such as lecturers could not get the expertise courses to be lectured, more courses given to higher position lecturers and also burden their research timing. According, to the problem the researcher has come up with a solution which to develop a course allocation system for lecturers. The researcher has set the objectives to provide the lecturers their expertise field course to be lectured and also provide the correct number of courses according to the lecturer position and timing. Regarding, this the developer has done a research study on the similarities of the system which has been developed previously. So that, the developer can make a comparison with the previous system and the system about to be developed. This project also can be used to refer for the futuristic course allocation system development and also enhance modern day school course allocation across institutions around the globe. The online course management system for academy lecturer is being developed to provide ease handling on courses given to lecturers. A lot of issue has been developed due to the manual allocation method which is been carried out manually using paper and pen from the lecturer in charge of course allocation. All lecturers are having their preferable courses where their expertise field play the most important role on that issue. The lecturer is the biggest guide for the student lecturing in the courses that students taking on the semester. It doesn’t mean that all the lecturer can only teach few courses according to their expertise to be lectured for the students but they also can teach all courses which has not on their expertise field. Due to that doing on manual course allocation they could not get the preferred course, due to that a system has to be develop accordingly. 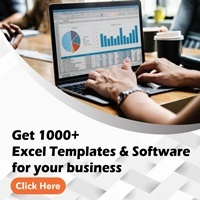 The system also minimizes the usage of paperwork and user friendly for the administrators to log in and edit if any changes required for the course allocation. The system will print out output of a list stated for lecturers on their preferred course. Institutions across the country are having a constraint on course allocations for the lecturers by using manual allocation process, which is relatively slow and increases delay in academy process. It effects the lecturer’s expertise field which they have done the majoring studies on it. Every lecturer is having their preferable course to be lectured for the student under that course registered by them on the current semester. Some lecturers also doing their research on the time of their work, due to manual allocation of courses it effects their research timing. Some lecturers are also on higher position also getting more courses to be lectured by them. Moreover, they should be getting less courses to be lectured. Due to this issue happening in Universities, the researcher have developed a proposed system to help aid course allocation within lecturers. This project consist are system which handles the allocation of the courses for the lecturers according to their expertise and their position. It also minimizes the courses given to the higher position lecturers. This system also user friendly and ease the work of the admin office to provide the lecturers their preferable courses. 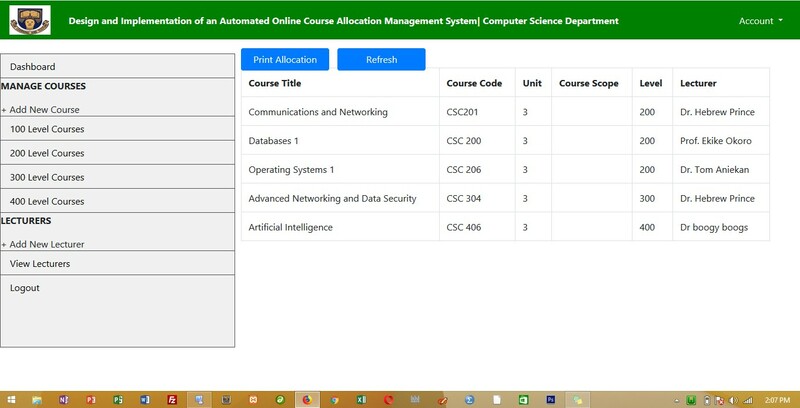 The current course management allocation system for academy staff is being done manually which causes inaccuracy on the number of courses given for the lecturer. Other than that, lecturers could not get the preferred course according to their expertise. Lastly, the courses are difficult to manage according to the changes. To handle the course allocation for lecturers on their preferred course according to their expertise. Moreover, provide the access for the lecturers to view on the courses assigned. Lastly, to create a system for the administrators to access or log in and make changes on the courses. An Administrator probably a (Time Table officer) have the full authorization to log in to the portal to make any changes on the course adding, dropping and also assigning different lecturers if needed. The administrator has to create a profile and set the expertise field for each lecturer so the system can detect it to assign the correct number of courses according to their expertise field for the lecturers. The lecturers also can view the portal on the courses assigned for them. If they wanted to make any changes regarding the courses assigned for them. They can refer the management office for the changes to be applied. The administrator office have to provide the information to the system by creating a profile for each lecturer so the system can detect the expertise field for each lecturer. It also generates the number of courses assigned to the lecturers according to their position. It also allows only administration office to log in with a specific username and password to make any changes to the allocation. The system is developed to ease the allocation of academy work for the academy semester. This system is also giving priority for the lecturers on the expertise field courses to be lectured for the students who registered the courses on the semester. The system also helps on the higher position lecturers to receive on minimum number of courses which can lower their wok burden. It also helps on the research lecturers to by giving low amount of courses assign according to the profile created on the system. Moreover, the system will be online basis where the lecturers and administrator can access the system anytime and anywhere. - Manually: by hand rather than automatically or electronically. - Administrator: a person who acts as the administrator for an Internet or type of computer user with administrative privileges. - Institutions: an organization founded for educational, professional, or social purpose. - System: a set of things working together as parts of a mechanism or an interconnecting network; a complex whole. - Online: Computer or device connected to a network (such as Internet) and ready to use (or be used by) other computers or devices. - Academy: a place of study or training in a special field.